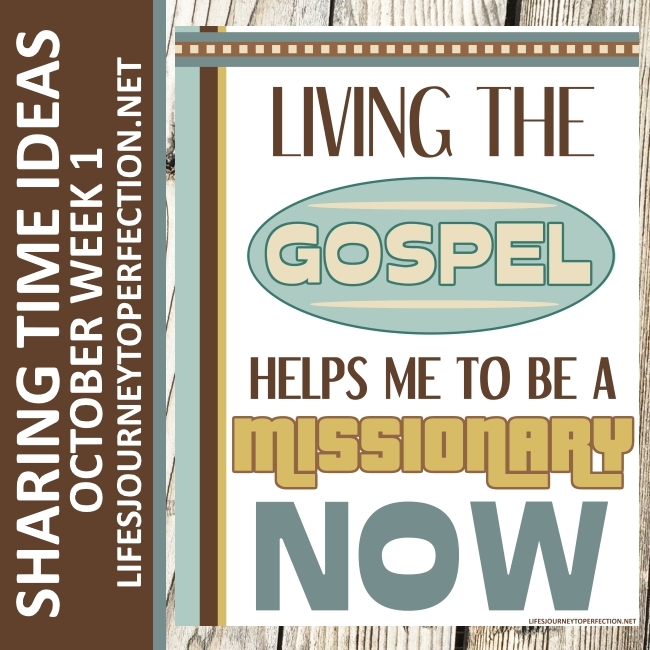 October Week 1 Topic: Living the gospel helps me to be a missionary now. Discuss with the primary children what they learned last sharing time, or what they learned from listening to General Conference. 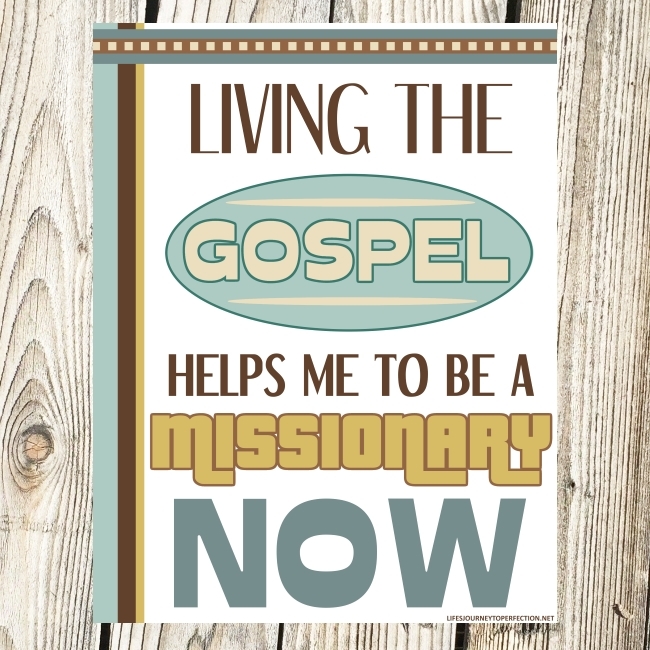 Show the week's theme poster and invite the primary children to repeat, "Living the gospel helps me to be a missionary now." Our Savior has asks us in John 21:16 to "Feed His Sheep". 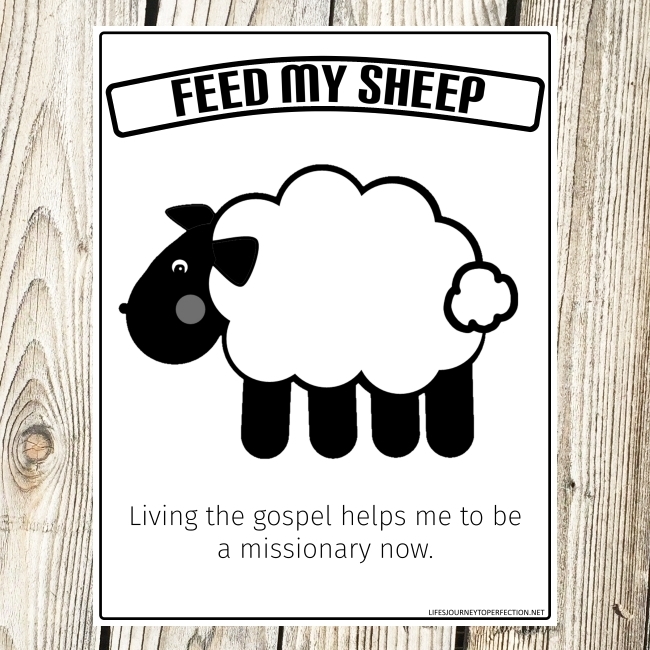 We can "Feed His Sheep" by living the gospel ourselves and inviting others to live the gospel also. Invite the primary children to listen to you as you tell them the Gospel Standards, explain that these standards can help us live the gospel of Jesus Christ. 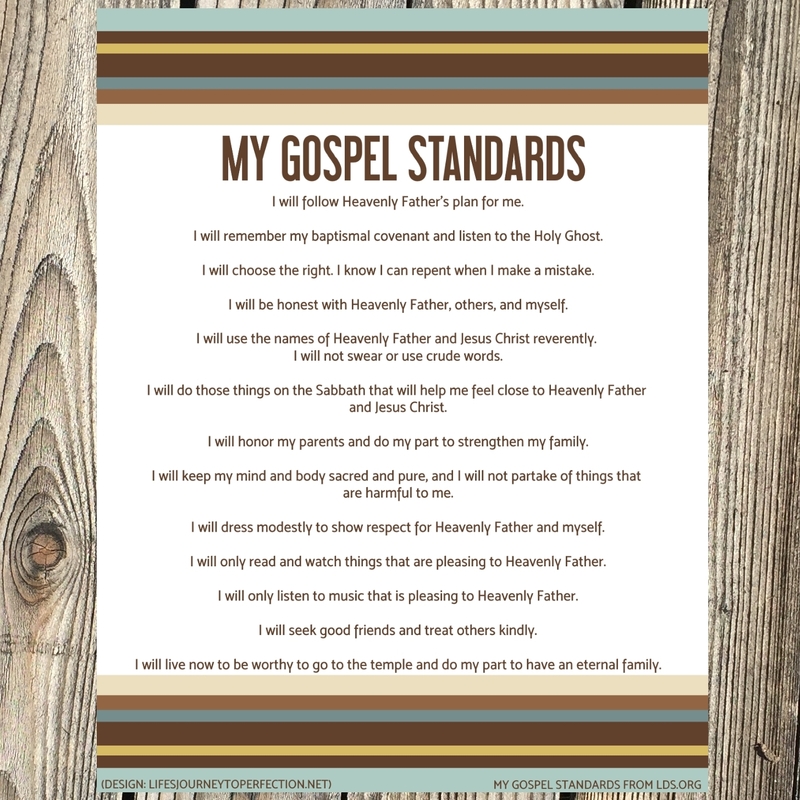 Give each of the primary children the "Feed My Sheep" printable. Invite the primary children to draw pictures of how they can live the gospel. You could give them an example: Draw a picture of saying prayers. Saying our prayers can help us be a missionary, because we can pray for opportunities to be a missionary, to serve others and to be a good example. Then invite some of the to share what they drew and discuss how living that gospel principle can help them be a missionary. Close by sharing your testimony on how living the gospel has helped you be a missionary. They work in the opposite way to a fan, instead of using electricity to make wind, like a fan, wind turbines use wind to make electricity.